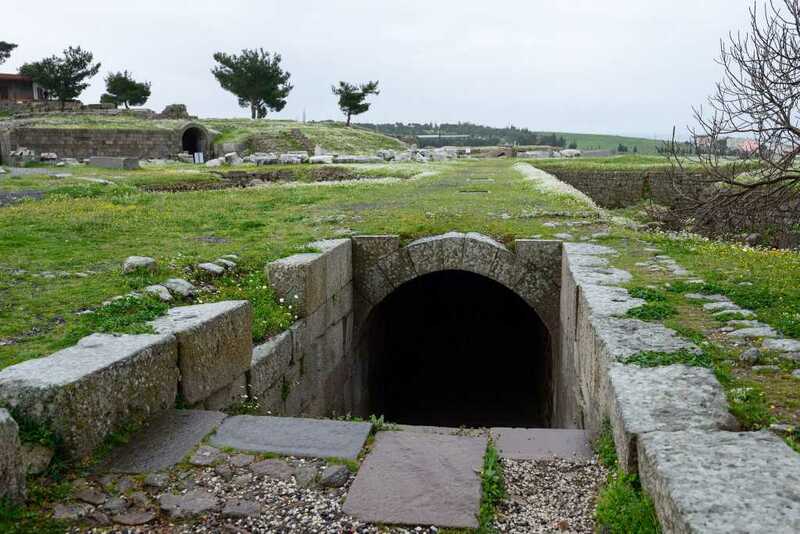 In Roman period, there was a sacred way as short connection from the lower city to Asclepion about a mile long. Clients , as sick people, used to walk with bare foot on the sacred way in which both sides were full of stores selling the images of the fake organs. When the sich reached at the end of the road with images in their hands, the doctors or physicians could partially understand the place of the aches in their bodies. The road was surrounded with porticos which were the shelter both in summer and in winter protecting them sun and snow. 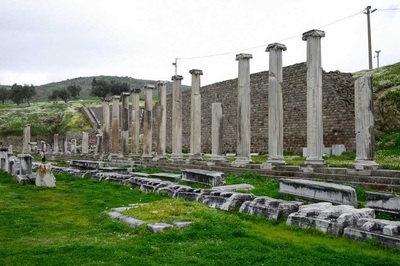 Sanctuary of Asclepion has a big galleried courtyard, the 3,500-seat theater structure for shows as entertainment, the cult of the Emperor Hadrian hall who is said to be helaed here and he donated ascpepion to be expanded. There was also a library with medical works to be read during the treatment as to belive the work done here and grateful sentences seen on the walls by the clients after overcoming from their sicknesses, a fountain and mud bath sections, a dark and big healing tunnel where the sick people were invited to walk in the darkness to hear the holy sound of healing god Asclepios, a sleeping court of the hospital in which the doctors used to whisper as advice with a divine voice to sleepers laying down on the floor. 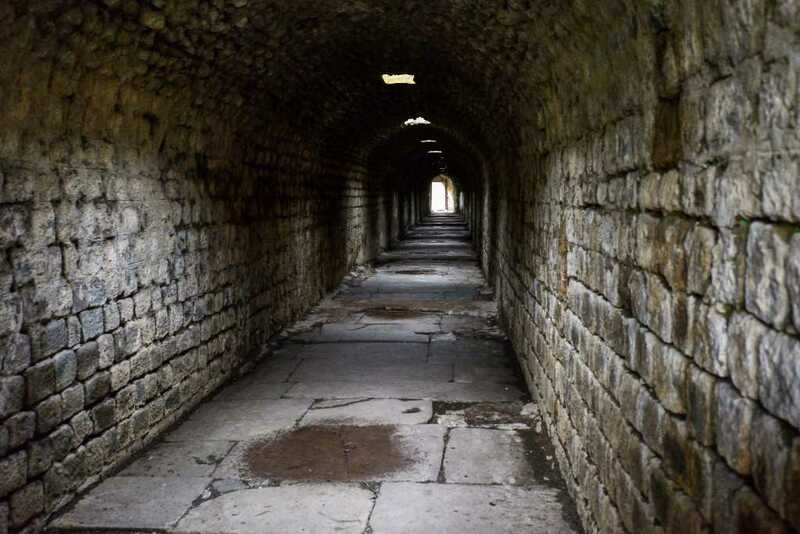 Besides holy sources where patients treated in order to protect them from the cold and hot air in a long underground tunnel was made in the south corner of the sanatorium. This underground tunnel is located near the north of Asclepion Sanctuary with circular plan. 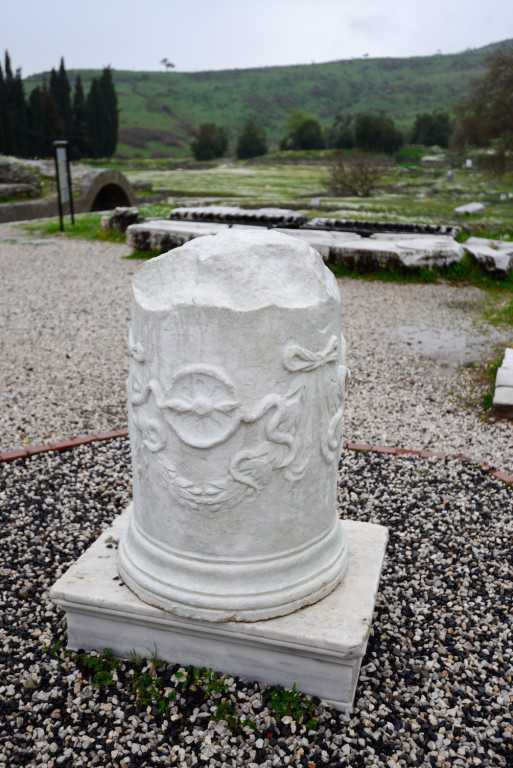 This temple was modelled on the Pantheon in Rome which was built in 150 AD by the consul LC Rufinus. There is an entry with colonnaded porticos and alternates are ranked seventh in taping one niche. 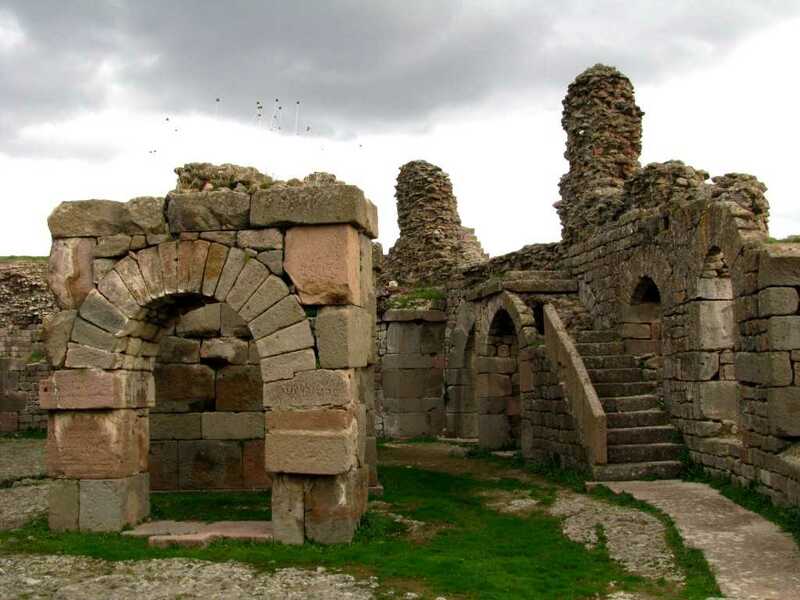 In the niche , opposite the entrance, there were the cult statue of the god Asclepius which make the sick people believe to the treatments, cures and heals. We learn the treatment methods and curing types from 2nd C AD orator named Aelius Aristides, who had stayed here for 13 years. In this hospital , dosctors used inspiring and physiotherapy in a variety of ways from which are still in use and common today. 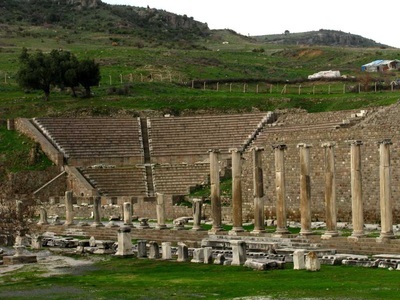 Drinking Holy water, having mud bath, walking with bare food in the snow, thirsty cures, hunger, medicinal herbs, hearing the sound of water, keep fit exercises everyday, putting on a weight and lubricated with cream were the the main treatment methods used in asclepion of Pergamon in which millions of people used to come here not only to overcome from their sicknesses but also used to be fit in this famous spa as the oldest version of Mayo clinic.